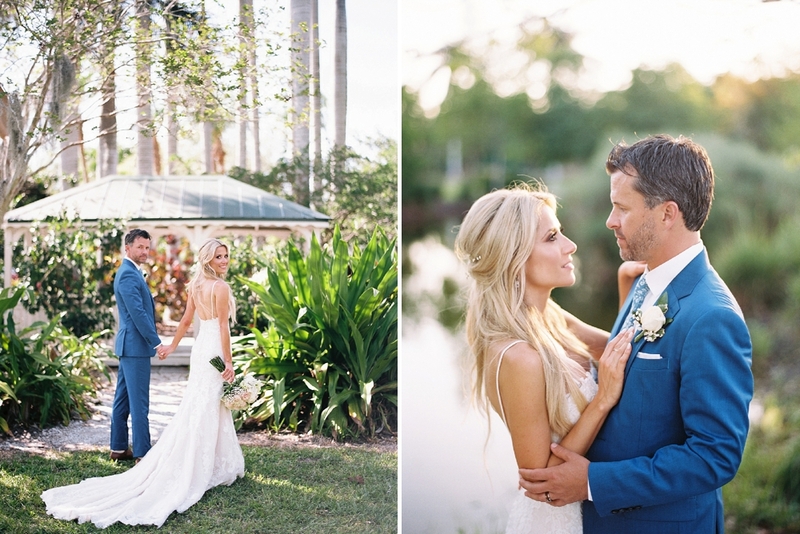 Light peaches and blues and windswept views are abundant in Natassia and Todd’s sweet wedding from Everence Photography today! 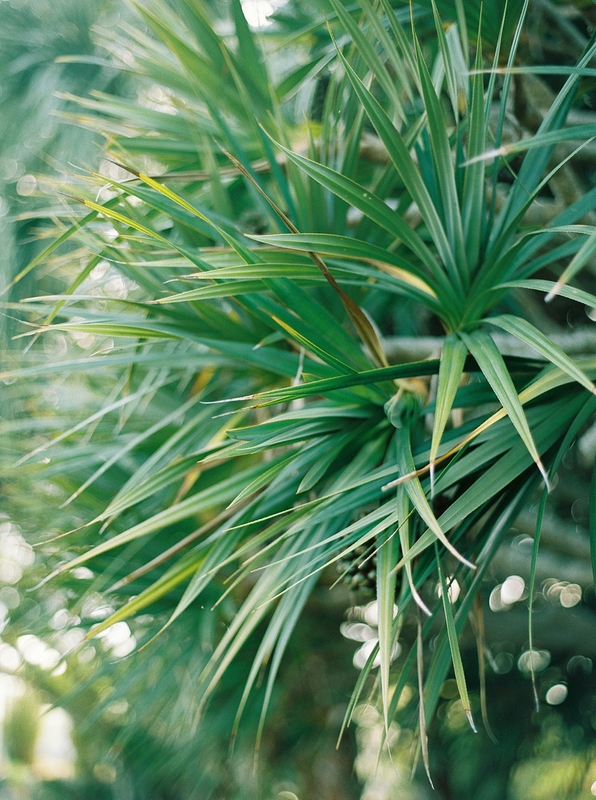 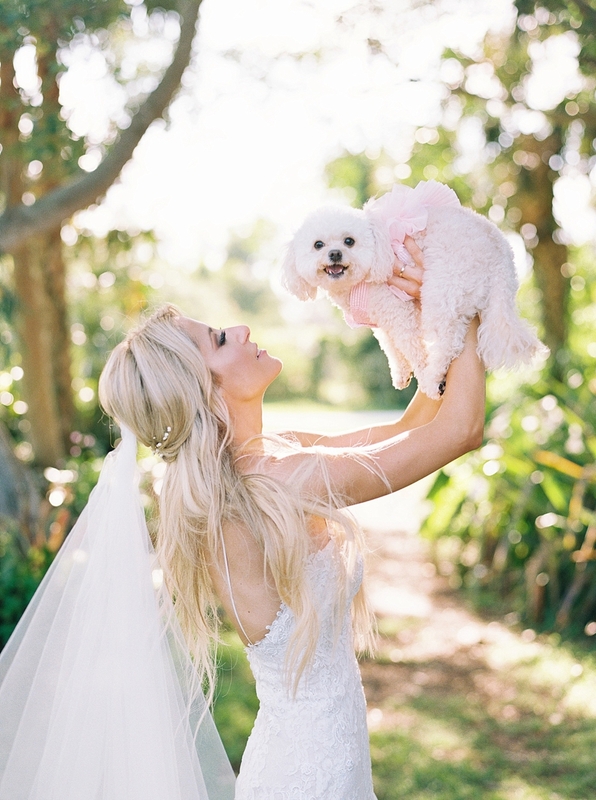 Scroll to see more beautiful coastal inspiration and look for the appearance of the pup with pink seersucker! 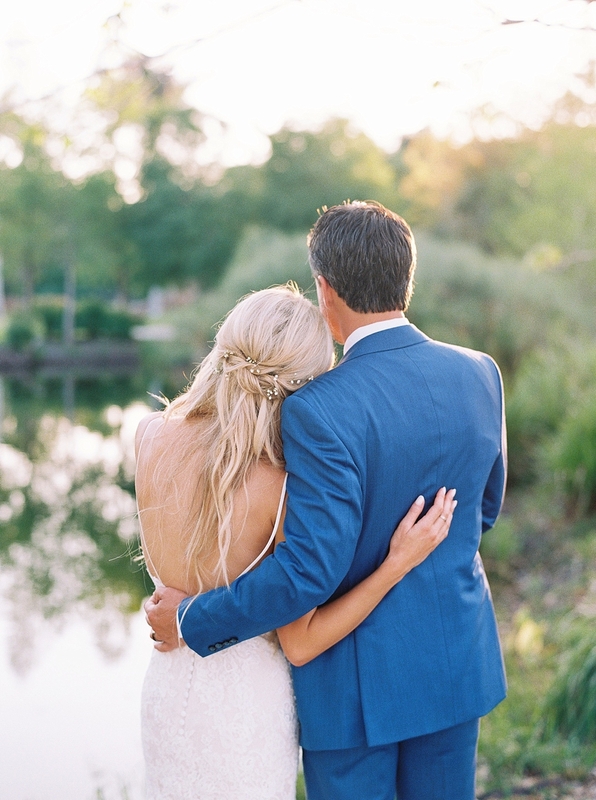 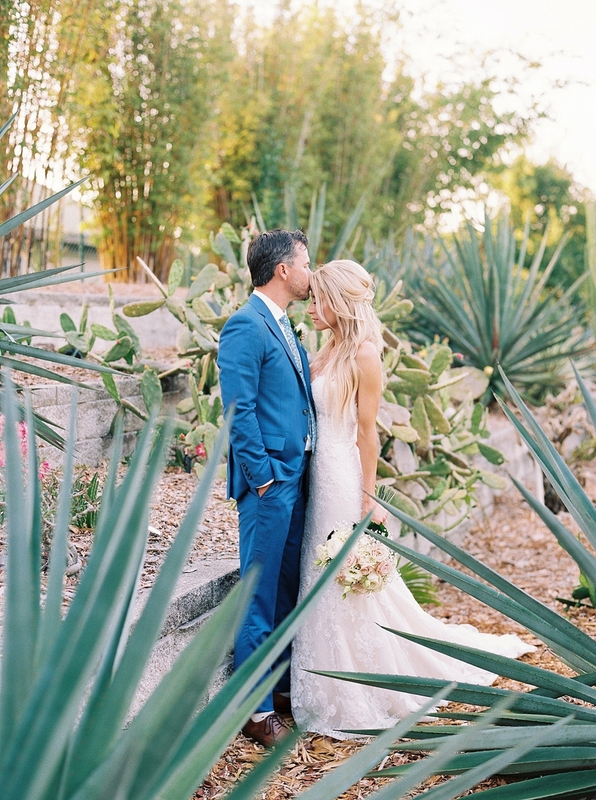 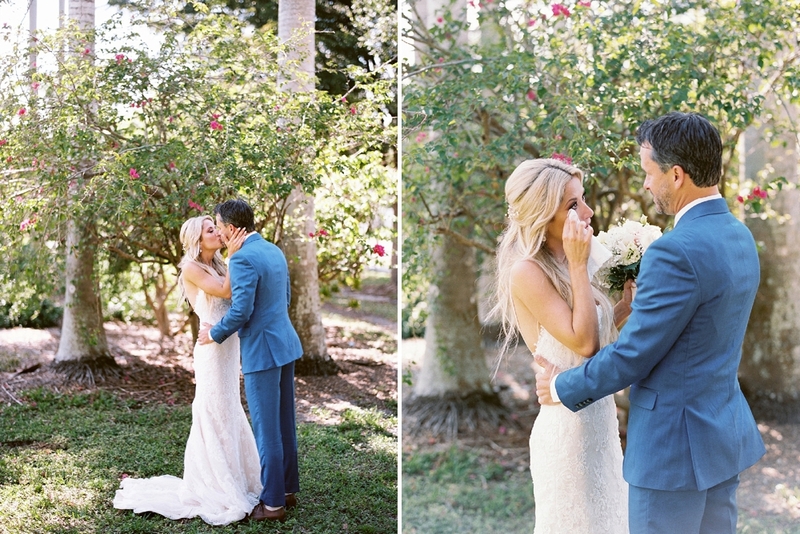 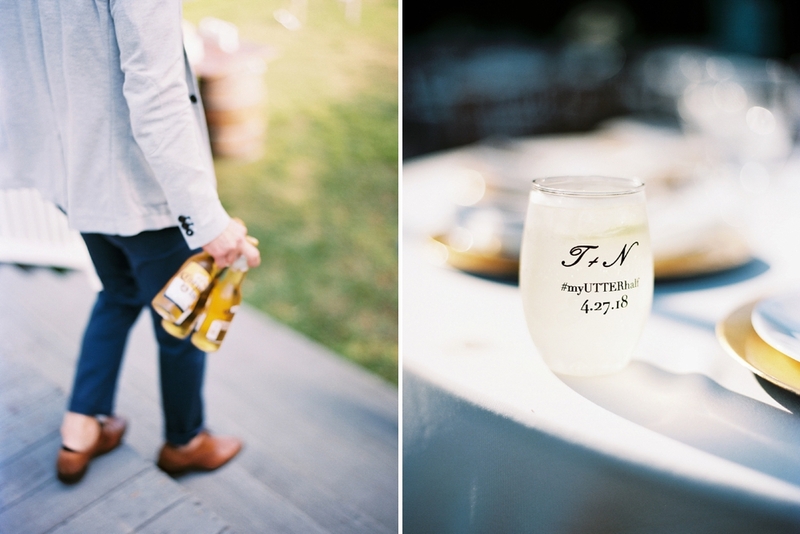 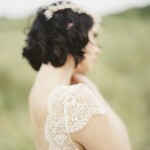 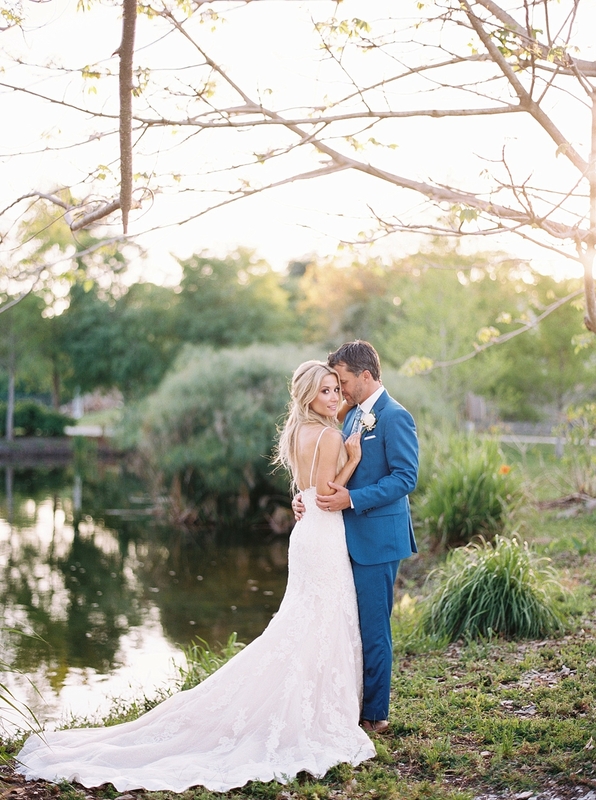 from the photographer: Natassia had the most amazing vision for her wedding day. 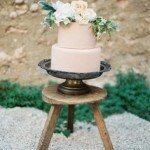 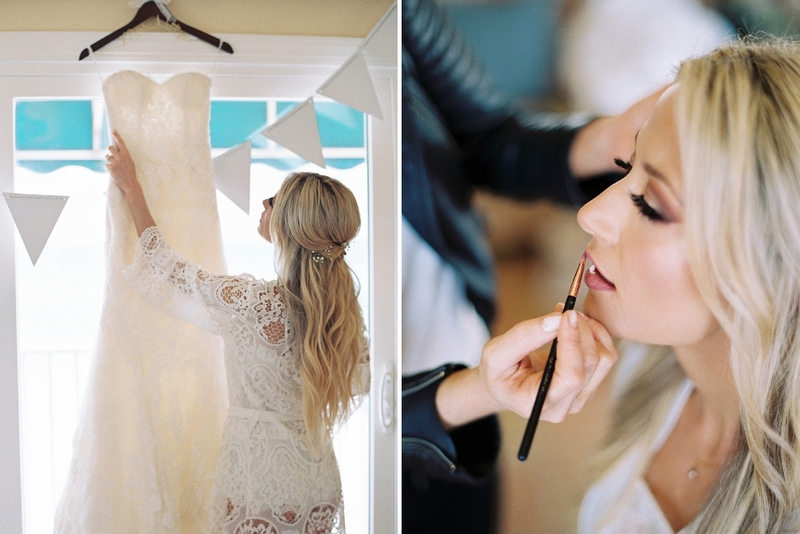 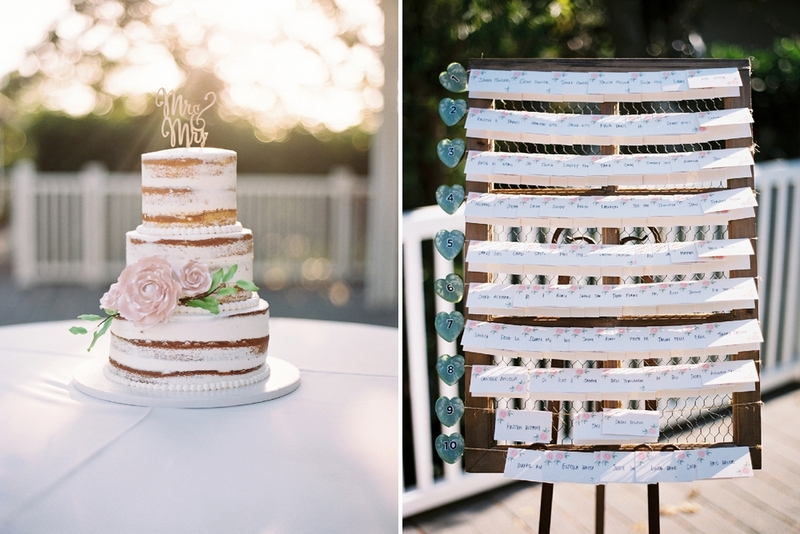 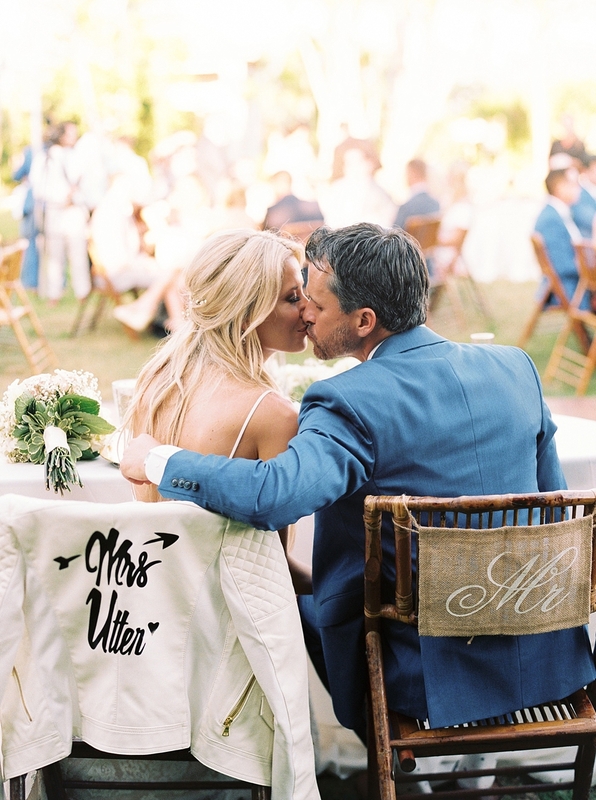 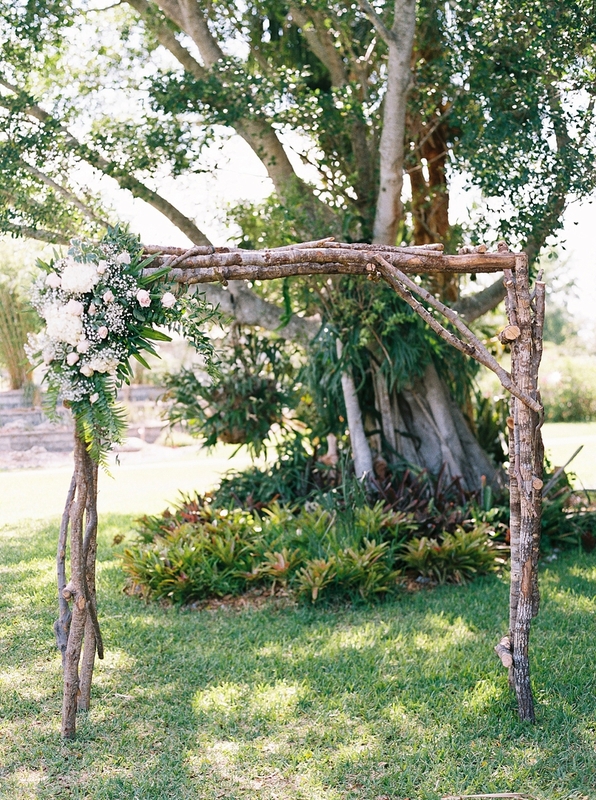 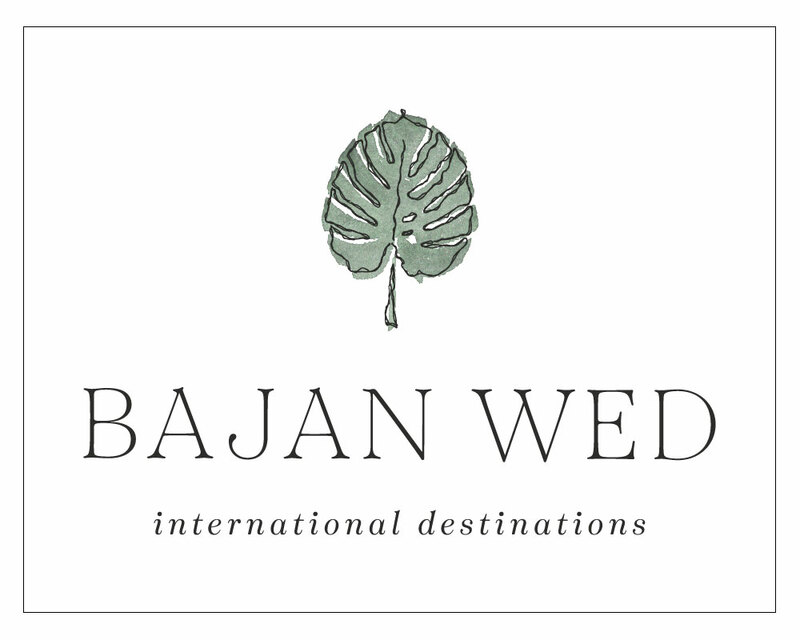 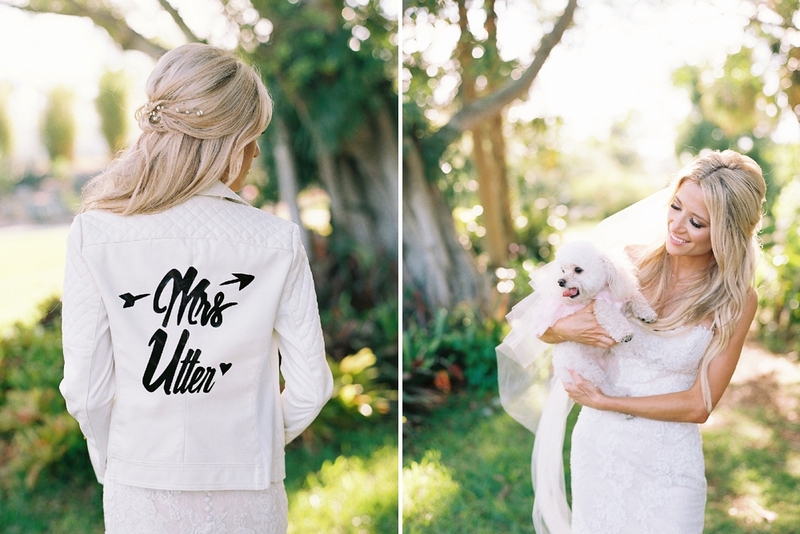 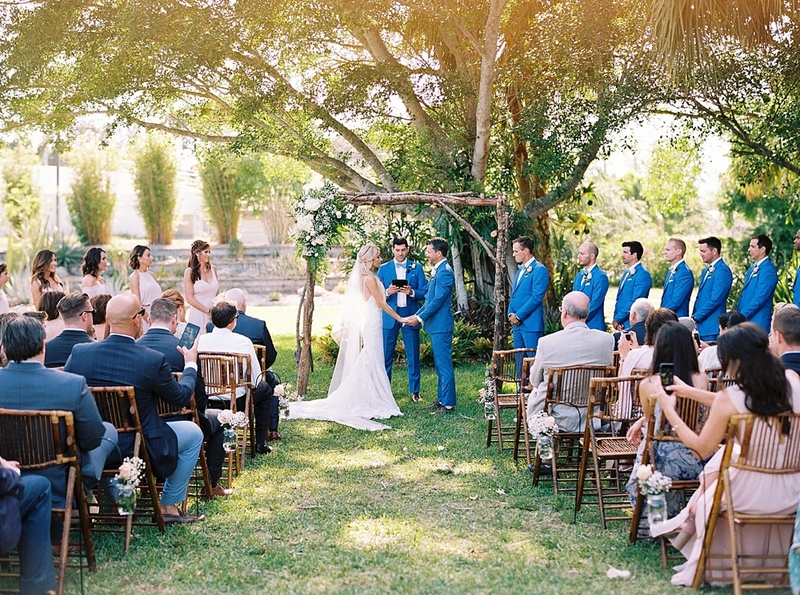 She wanted it to be fun, untraditional and had a clear vision for her wedding day. 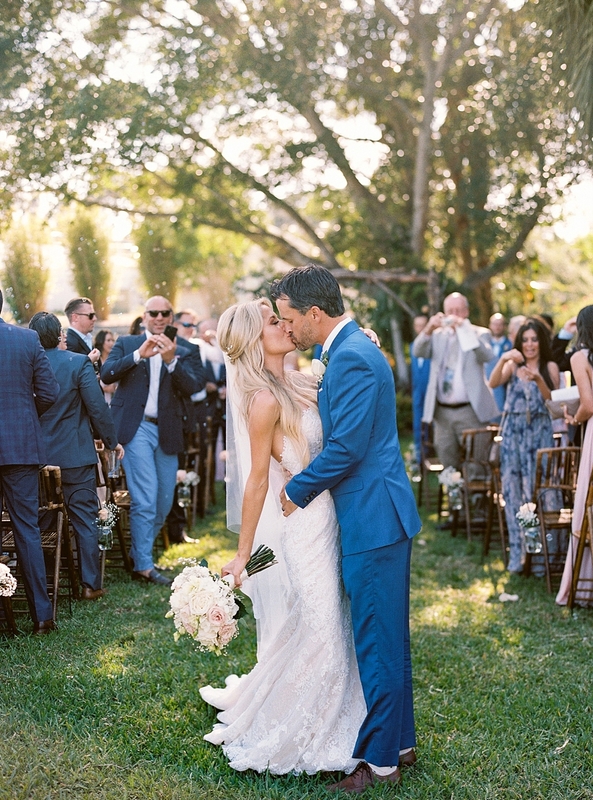 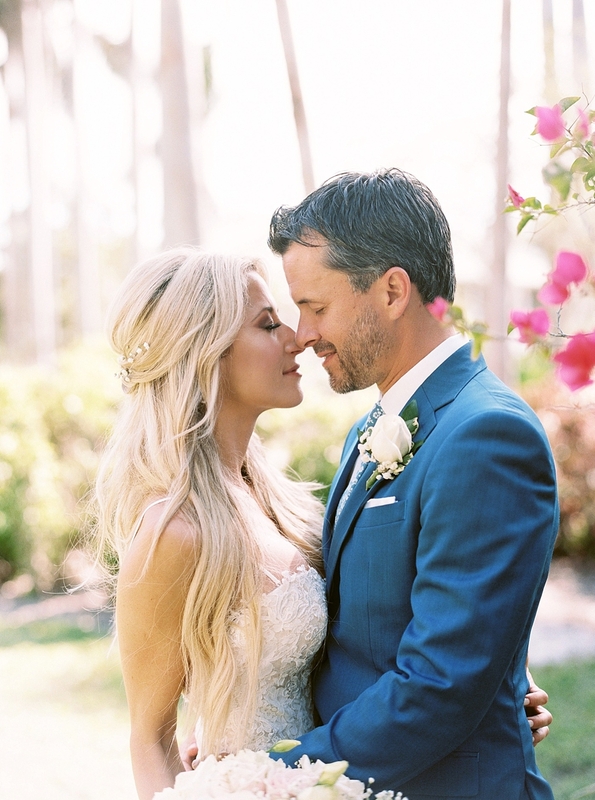 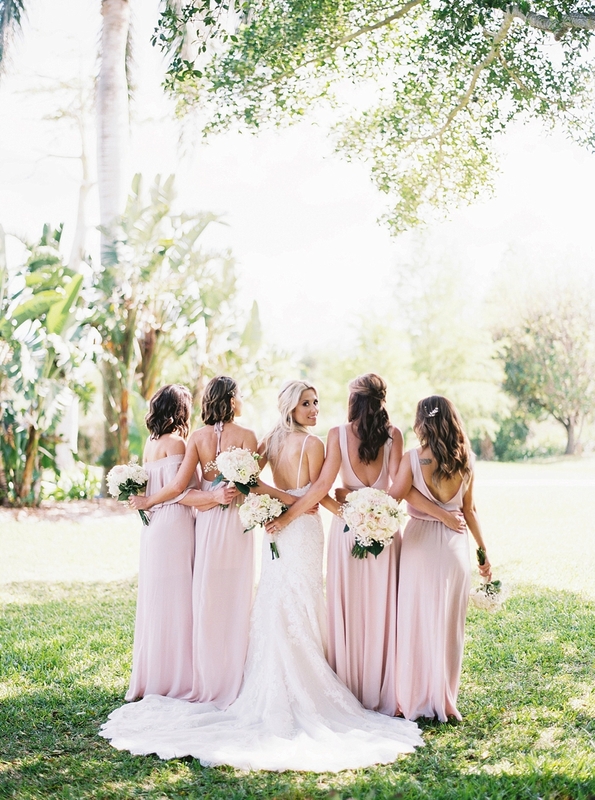 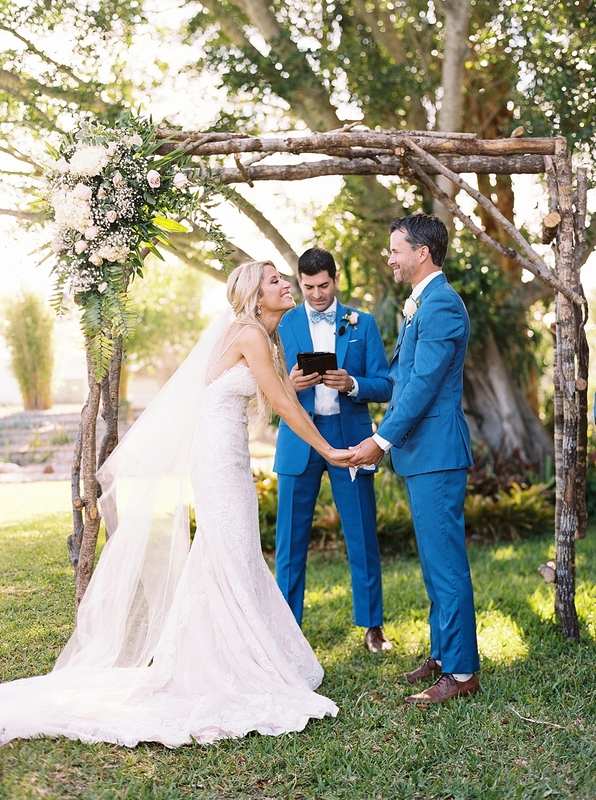 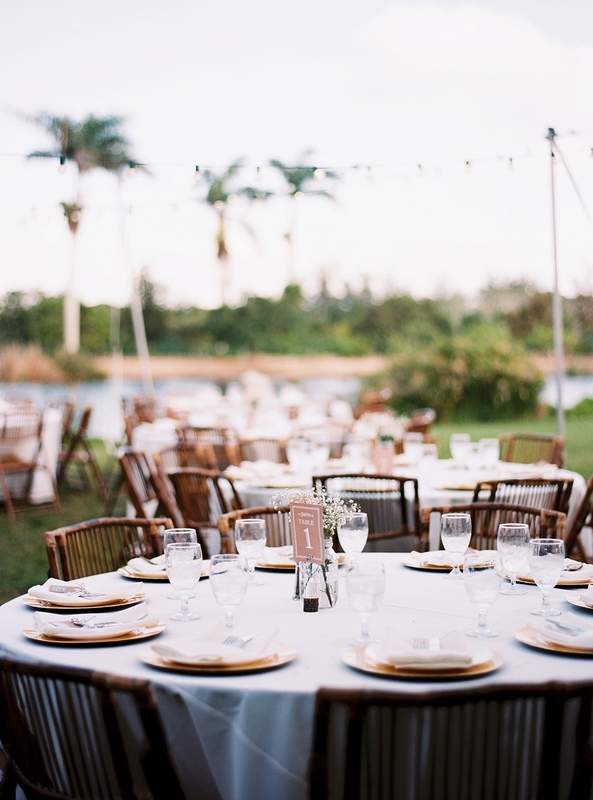 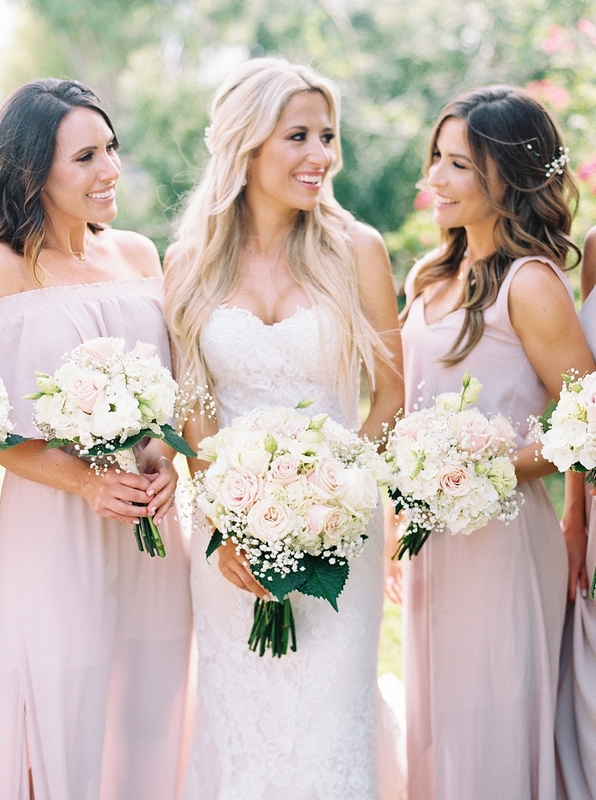 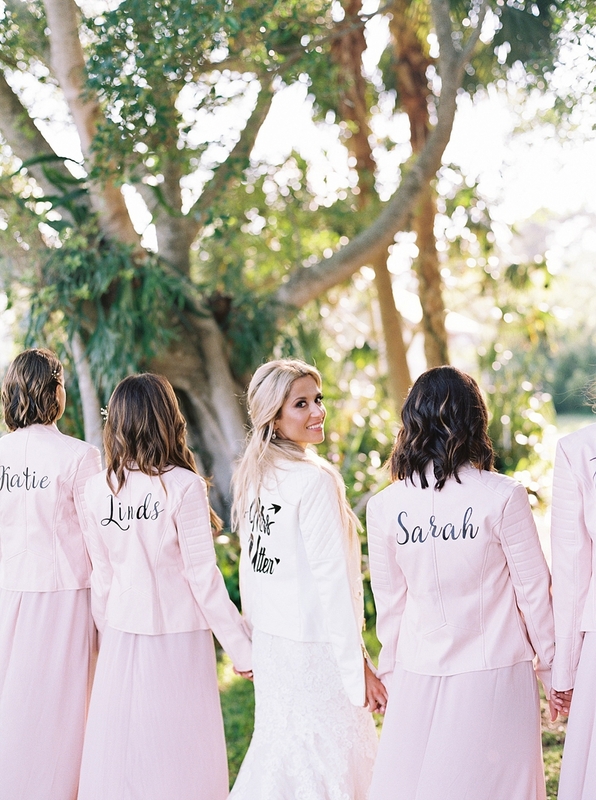 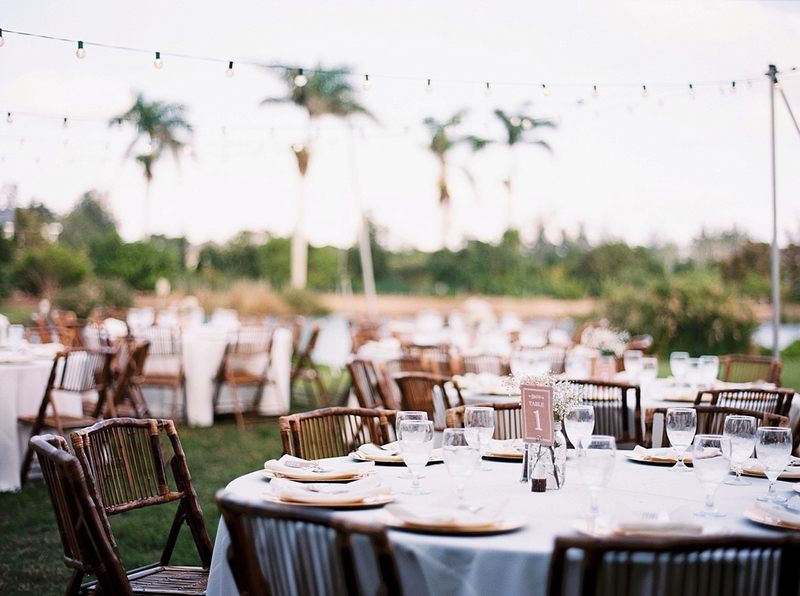 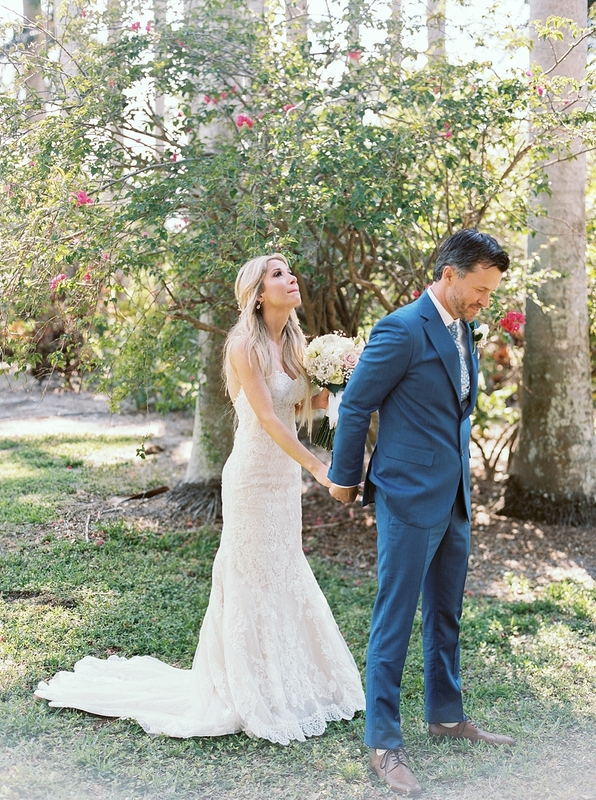 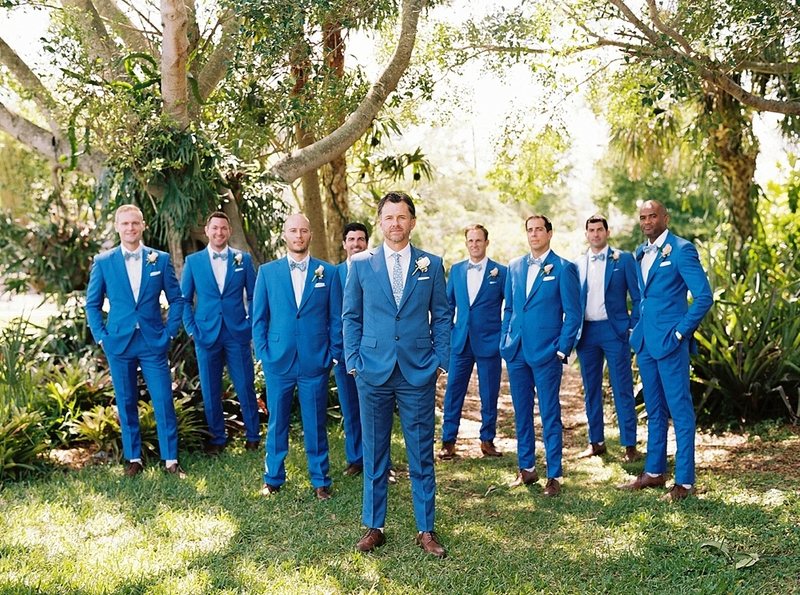 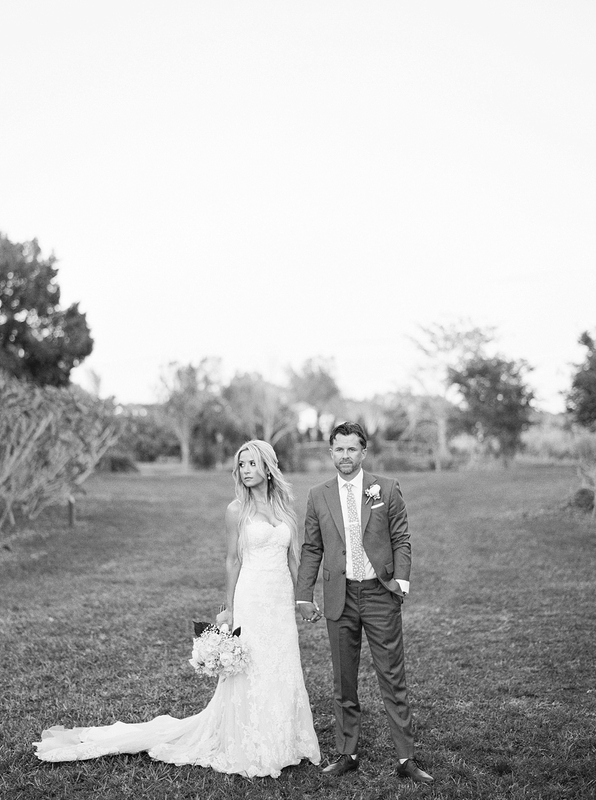 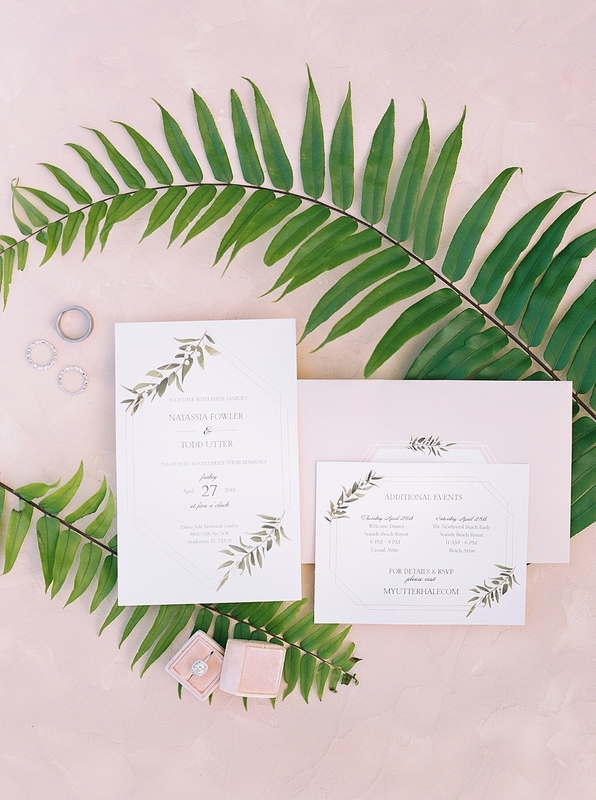 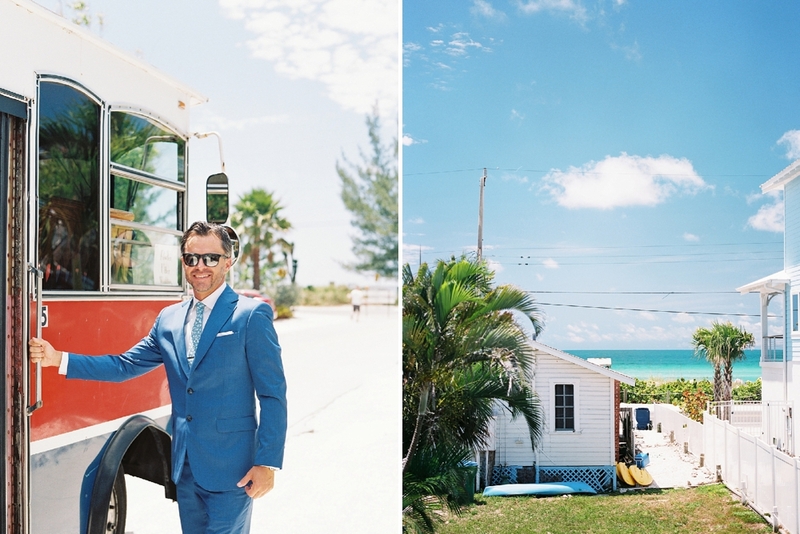 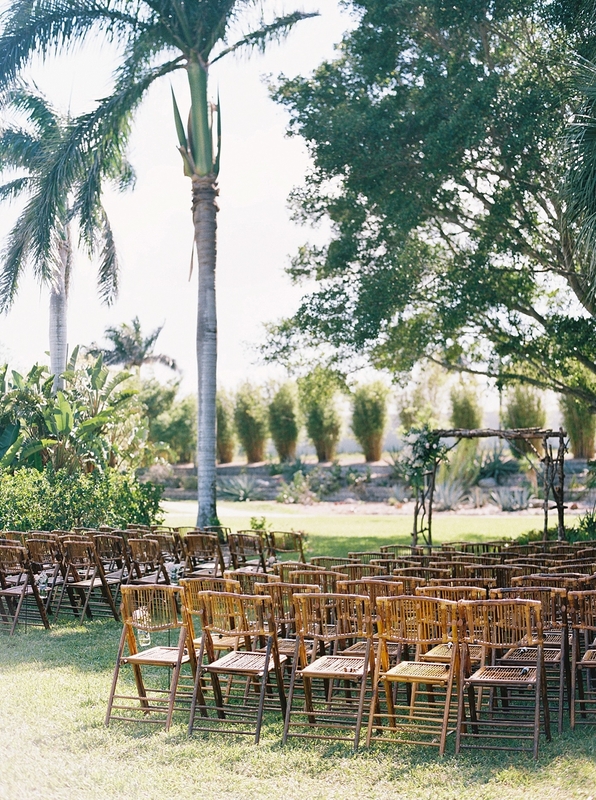 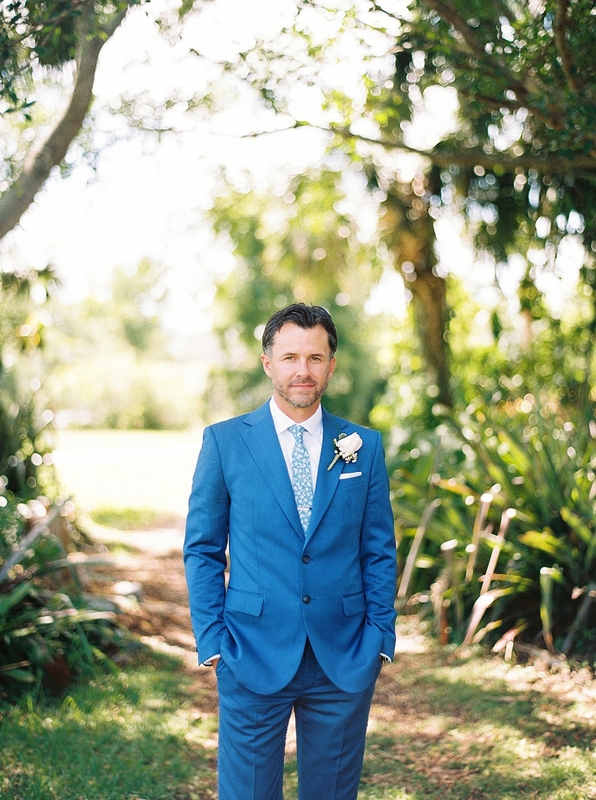 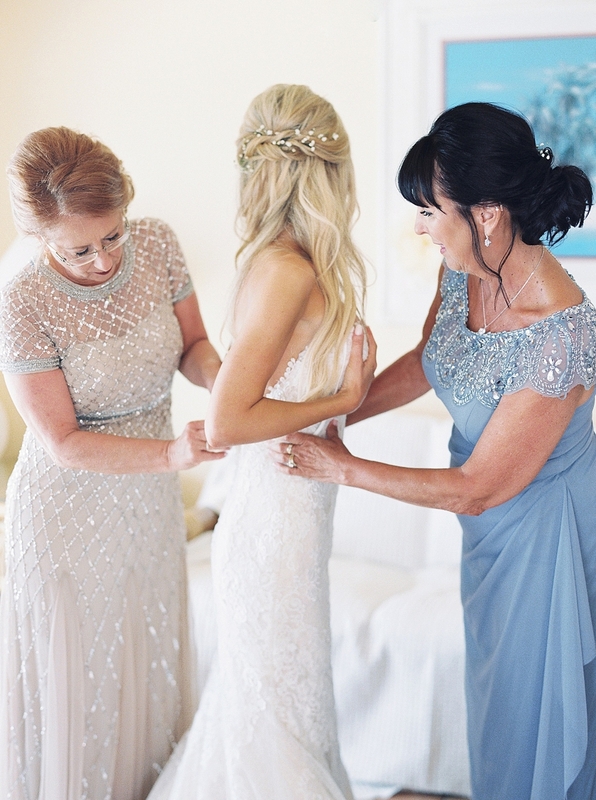 From getting ready right on the beautiful beaches of Anna Maria Island with her girls, to the beautiful garden setting of her outdoor venue and the reception – every detail was perfect. 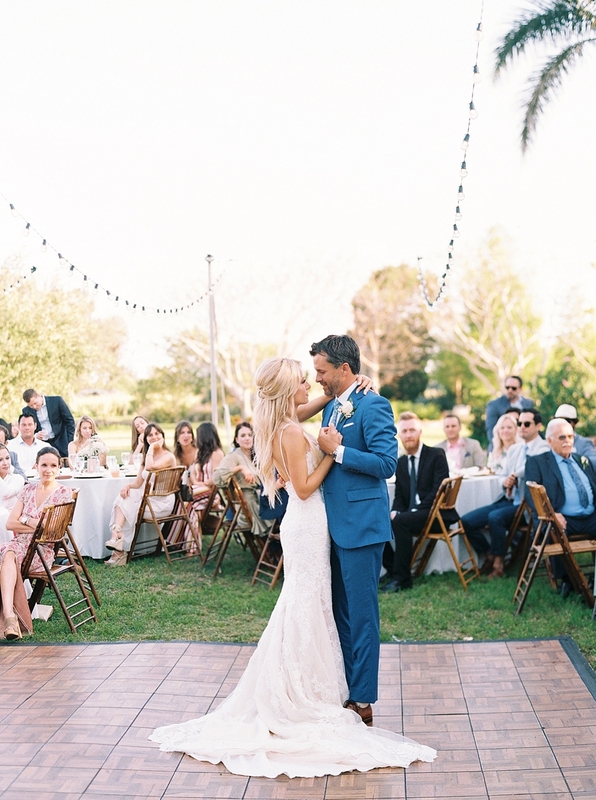 They danced the night away under the stars and their chemistry was incredible!